According to a report released in 2018, there are currently 30.2 million small businesses operating in the United States. Starting your own, then, puts you up against fierce competition. You shouldn’t let a booming market discourage you from exploring your economic options, though, especially if you’re in-between jobs. 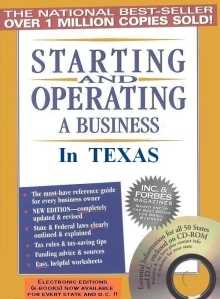 While the Ronin Software guidebooks will help your budding business have legs, it’s up to you to determine whether or not starting a small business is the right path for you. You can’t start a business if you don’t have anything to sell. This can either be a physical product or a service. Some of the most profitable small businesses today identify a niche field – chiropractic, accounting, or dentistry, for example – and make a name for themselves within it. The product or service that you opt to provide will have to stand strong at the center of your established business plan. Without one that you think will both sell well and remain sustainable, your ambitions may crumble. That’s why it’s important, especially when you’re in-between jobs, to assess and discover the kind of work you’re capable and interested in putting out. Once you have a product or service in mind, you can start researching your potential audience. Niche markets, as mentioned, may be small, but they tend to have enthusiastic consumer followings. Explore the websites that your competition have established and see what kind of services or products they may not have available. If you can fill a need in a niche market, you’re likely to find an excited audience. Just make sure that you can legally sell to that audience, of course. The legalities of business vary by state. If you don’t comply with the legalities that allow you an audience, then you may be back on the job market before you know it. For tax and legal guidance on doing business in 32 of the states or the District of Columbia, see the Kindle "Starting and Operating a Business in ..." e-books from Ronin Software on Amazon.com. You’ll also have to keep in mind the way the business market has evolved over the past several years. 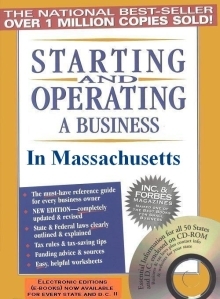 The one good thing about starting a business while in-between jobs is that you can take the time to brush up your business knowledge and skills. At the same time, you need to ask yourself realistic questions. Can you keep up with a market that’s heartily adopted cryptocurrency? Will you be able to answer to a number of different clients at once? Will you need to bring on additional staff, or will your business be manned by you alone? Finally, don’t let your dreams outstrip reality. Starting a small business is tough. Don’t make promises you can’t keep to your audience. Expect initial losses when you start your work. Most importantly, do what you can to establish boundaries between your personal life and your business. New, small businesses can be all-consuming, and the last thing you want to do is burn out before you’ve gotten your feet off the ground. That said, being in-between jobs provides you enough time to deeply consider all of the necessary elements that go into starting a business. If you carefully consider the factors involved, you can determine whether or not operating a small business is the right path for you.